First time on the market! This passive, active solar, modern strawbale home and shop provide sustainable living at its finest. With all the luxuries of a custom home, there are virtually no utility bills. 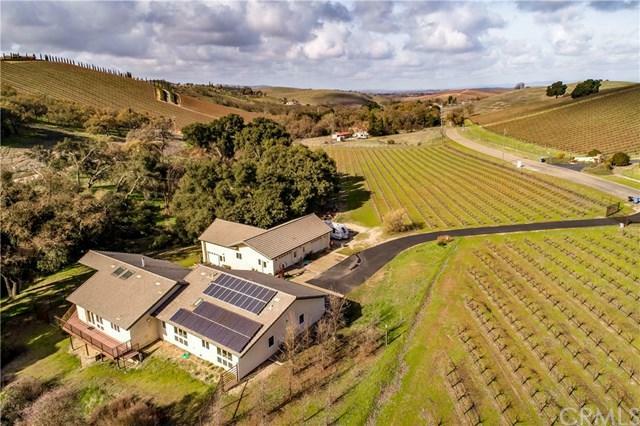 Located in the heart of wine country on a pastoral 9+ acre parcel minutes from the Templeton FarmerÃƒÂ¢Ã¢â€šÂ¬Ã¢â€žÂ¢s Market, Trader Joe's, fine restaurants, and numerous wineries. 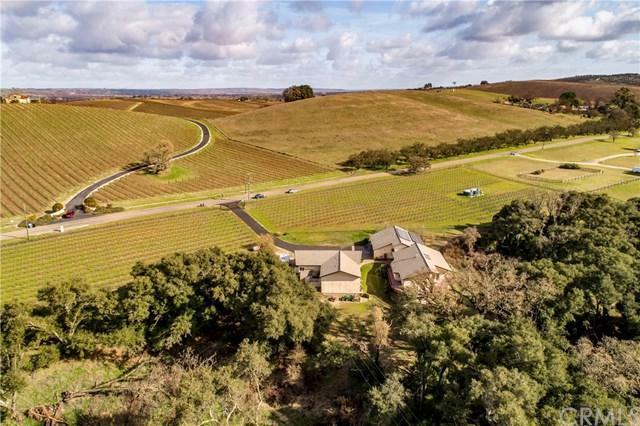 Perfectly private, this amazing property boasts a beautiful 2,300 +/- sq ft home with a 1,527 sq ft finished and air conditioned space bel First time on the market! This passive, active solar, modern strawbale home and shop provide sustainable living at its finest. With all the luxuries of a custom home, there are virtually no utility bills. 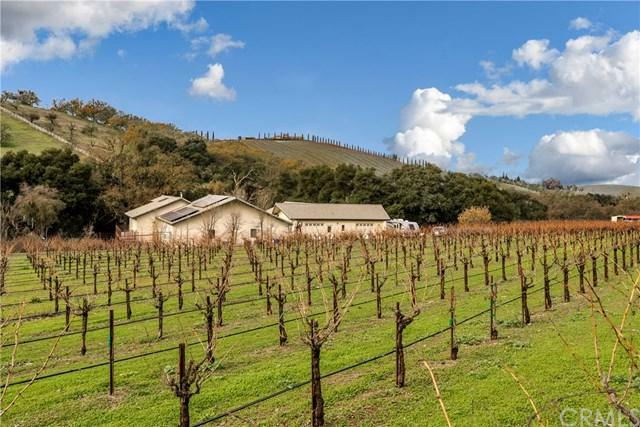 Located in the heart of wine country on a pastoral 9+ acre parcel minutes from the Templeton FarmerÃƒÂ¢Ã¢â€šÂ¬Ã¢â€žÂ¢s Market, Trader Joe's, fine restaurants, and numerous wineries. Perfectly private, this amazing property boasts a beautiful 2,300 +/- sq ft home with a 1,527 sq ft finished and air conditioned space below. The floor-plan is open, allowing natural light to fill the home. The gourmet kitchen features granite countertops, stainless steel appliances, a walk-in pantry and a large center island. The master suite is a dream and includes walk-in closet, Jacuzzi tub, shower, and double sinks. Quality workmanship is shown in the doors, windows, and finishes throughout the home. The lower level space with two exterior doors and several windows is divided in to multiple rooms and could be used as a home gym, office, wine storage, bedroom, or whatever fits your needs. 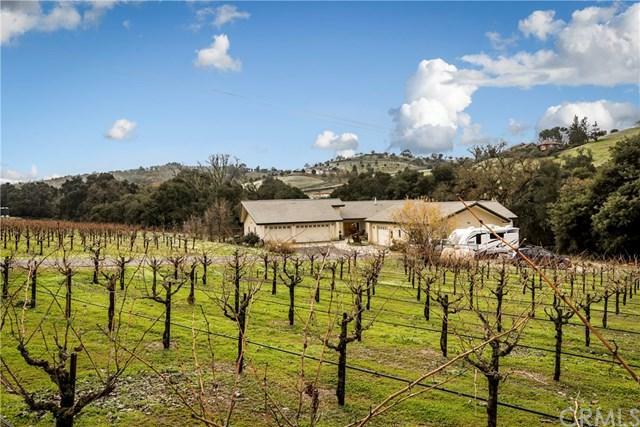 With a seasonal creek, 3.5 acre vineyard and a forested area behind the home, this property has unlimited opportunity. The 2,431 sq ft shop, also strawbale construction w/ bathroom and can be used for wine making, machinery, woodworking or storage for your car collection or toys. The three room configuration of the shop allows for many uses. A property of this quality is rarely available.